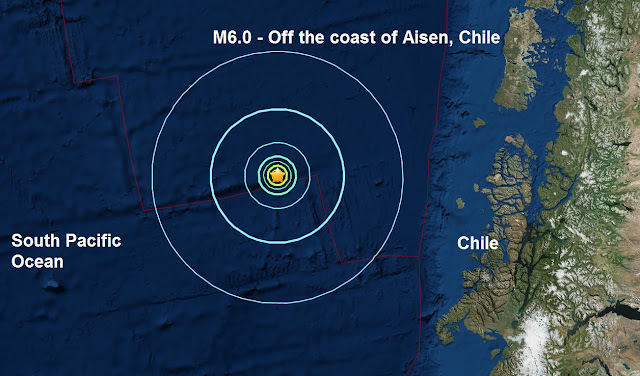 A mag 6.0 - Off the coast of Aisen, Chile is only the sixth major quake of July and three of them have come in the last two day's and the second one to hit Chile in the same period. Green alert for shaking-related fatalities and economic losses. There is a low likelihood of casualties and damage. There are likely to be no affected structures in this region. No tsunami threats have been issued.